Nowadays, part-time employees constitute an important section of the workforce. People may choose to work part-time due to various reasons: more leisure time, better work-life balance, a transition to full-time jobs. Employers, on the other hand, may also prefer part-time workers for higher flexibility and lower employment costs. Thus, to protect your right as a part-time worker, do take note of following before you start work! According to Ministry of Manpower (MOM), a part-time employee is one who is “under a contract of service to work less than 35 hours a week”. The Employment Act also covers part-time employees (except for those who are managers, executives, domestic workers or seamen). Similar to the contract of service between employers and full-time employees, the contract of service between employers and part-time workers must include essential information on hourly basic rate of pay, hourly gross rate of pay (the hourly basic rate plus allowances), number of working hours per day or per week and number of working days per week or per month. According to the law, how much should I minimally be paid for overtime? It is possible for part-time workers to work overtime. When a part-time employee completes work in excess of his or her normal daily working hours, the situation of overtime work occurs. In Singapore, you, as a part-time employee, are also entitled to be paid for overtime work, just as your full-time counterpart. The exact payment is influenced by the comparison of your working hours and that of a similar full-time worker. In your contract, you work 5 hours a day, while normal full-time workers work 8 hours a day, and your basic hourly rate of pay is $6. Of course, under the Employment Act, you are entitled to rest days and pay for working during those rest days. If you work for no less than five days a week, you are entitled to one rest day per week, and the rest day does not necessarily be a Sunday. However, if the rest day is not confirmed as a Sunday, the employer needs to inform employees about the rest days at least one month in advance. One day you work 10 hours on a rest day as requested by your employer. However, rather than being paid for the holidays, you can also negotiate with your employer to encash the public holidays and calculate this into your hourly gross rate of pay and include this in the contract of service clearly. Therefore, the new updated hourly gross rate of pay is now $6.23. Just as full-time workers, if you are covered by the Employment Act, you are entitled to paid annual leave and sick leave. And if you are eligible, you may also enjoy maternity, paternity and childcare leave as well. The exact amount of pay for working during these leaves also depends on the number of hours you work accordingly. A step-by-step guide on how to calculate the various types of leave entitlement and how to encash them into your hourly gross rate of pay can be found on government websites. Do I, as a part-time worker, get any benefits from my employer when he or she wants to terminate the contract of service between us? The fact that an employee is a part-time employee does not make a difference to the benefits the employee will be entitled to. The part-time employee is entitled to whatever a full-time employee is entitled to; notice, damages etc. Does CPF scheme also apply to part-time workers? Answer: Yes. The CPF scheme applies to all Singapore citizens (SCs) and Singapore permanent residents (SPRs) employed in Singapore under a contract of service, whether employed on a permanent, casual or part-time basis. If I injure myself during my work, do I get work injury compensation as well? Answer: Yes! As long as you are under a contract of service, it does not matter whether you are working full-time or part-time. If you have any questions, you can request a quote with Walter Silvester or get a Quick Consult with other lawyers from a transparent, flat fee from S$49. You can expect a call back within 1-2 days on the phone to get legal advice and have your questions answered. This article is written by Walter Silvester from Silvester Legal LLC and edited by Rishika Pundrik of Asia Law Network. Results-oriented Lawyer. 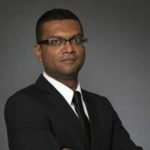 Skilled in Commercial Litigation, Matrimonial Disputes Litigation, Legal Advice, Civil Litigation and Dispute Resolution. Author and Lecturer, Diploma of Law at the London School of Business and Finance. Regular speaker at NTUC's U Future Leaders Exchange (UFLX) events. Dedicated volunteer at Law Society Legal Clinics. Bachelor of Laws (LL.B.) and Bachelor of Business Administration (BBA), both from National University of Singapore.